To many, the music of The Beach Boys is a foundational boulder set in the California cliffside upon which the entire culture rests. To remove it, is to ignore one of the most integral components of life in Southern California during the 1960s. Summer, sunshine, and falling in love – it's all there in the music, and while the songs of The Beach Boys go down easy, their success came at the expense of the psychological deterioration and torment of songwriter Brian Wilson. 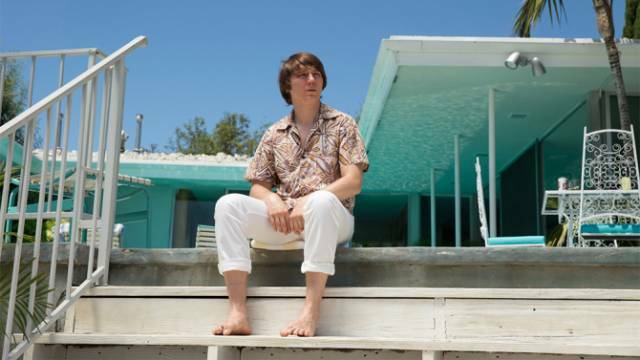 This is where Love & Mercy centers its attention, Brian Wilson's life is explored during two very specific periods of his life; the mid-1960s (where he is played by Paul Dano) and the 1980s ( where he is played by John Cusack), times during which we see the troubled, but charismatic, Wilson working on two potentially transformative albums. The film opens with a few clips of The Beach Boys' iconic live performance on Ready Set Go! from 1964 with Dano center stage, and the audience immediately knows exactly what they're witnessing. With a film like this the music becomes a character in and of itself, and the sound design of Love & Mercy is as eclectic and unusual as its subject. Echoey voices in Wilson's head and muffled Beach Boys' classics are often blended together, serving as an eerie complement to his frequent onscreen psychological episodes. The haunting footnote to Wilson's genius is mis-diagnosed paranoid schizophrenia, which Paul Dano plays with gripping intensity. Dano's Wilson is tortured, terrified, and completely healed by the act of making music. This is Paul Dano's movie through and through, which is also what cripples it – because half of the film is also spent with Cusack's jaded, drugged-out, despairing portrayal of Wilson's darker years. Set side by side, Dano's Wilson is clearly more compelling than Cusack's, which makes it slightly jarring to have to tune out of the thrill of the 1960s to see the deep psychological depression that awaits and is never convincingly remedied during the 1980s. Slowly, Wilson's condition improves after meeting Melinda Ledbetter (Elizabeth Banks), as she insists upon intervening (out of love, and out of mercy) with his radical psychologist Eugene Landy (Paul Giamatti). While Giamatti and Banks are talented in their own right, and this unarguably remains a very troubling and transformative period of the real Brian Wilson's life, it all plays out very stiff on screen. We see Wilson suffer, but very little comes out of this pain, other than the sense that the film is trying to say that music has the potential to end suffering. And there's no question that the absolute best of the film is right there in the studio during the 1960s with Paul Dano yelling, "Can we get a horse in here?" while recording Pet Sounds. With the two core narratives contrasted to the point of being disjointed, it's difficult to feel a visceral connection between young and old Brian Wilson. And so the problem is that Love & Mercy is only compelling for a little while, which culminates in an empty look at Brian Wilson's innately fascinating life. It examines his mental illness thoroughly, but does little else. Paul Dano's Brian Wilson makes choices that have consequence, meaning, and reveal his character to the audience, while John Cusack's Brian Wilson has choices made for him by a rogue psychologist, which doesn't reveal anything, and merely frustrates an audience. Interestingly, though, in the final moments of the film during a conversation between Cusack and Banks, their dialogue is dissolves into the music of The Beach Boys. We see their mouths moving, but we don't know what they're saying. And so the other possible reading of Love & Mercy, can be that it is aware of its own shortcomings. Maybe the sound design of the film is telling its own story, here. If the music Wilson has made over the years is what had the power to pull him out of his deepest depression, it's possible that the film is trying to do the same thing. For the real Brian Wilson, it's always just been about relishing in great sounding music, and so maybe that's all that matters. Nick is a New York based screenwriter and sandwich enthusiast. He likes comedy, tragedy, and the stuff that falls somewhere in the middle. Nick studied Film & English at Hofstra University and taught Mario Batali everything he knows.